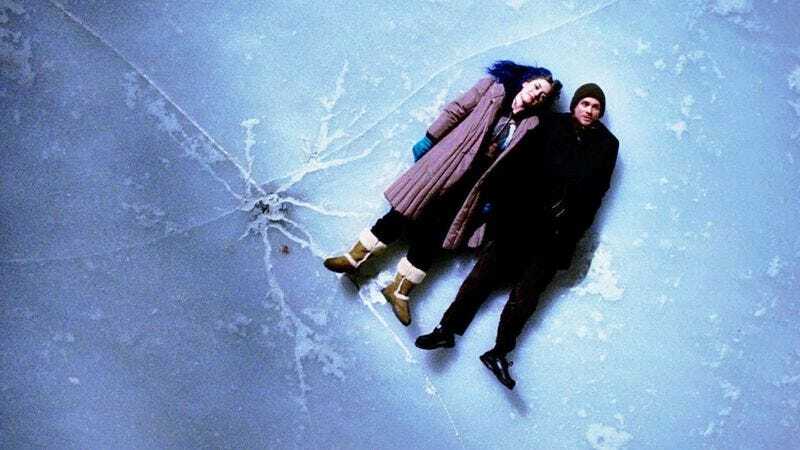 Released in 2004, Michel Gondry, Pierre Bismuth, and Charlie Kaufman’s romantic dystopia Eternal Sunshine Of The Spotless Mind has already risen to the rank of a modern classic. (In fact, we named it our best film of the ’00s, back in 2010.) But, just as those who fail to hold on to the memories of their mistakes are doomed to repeat them, so, too, are successful movies inevitably destined to get turned into TV shows in 2016. And so, The Hollywood Reporter is reporting that Universal Cable Productions is closing in on a deal to make a TV series based on Gondry’s Oscar-winning film. Given that Eternal Sunshine’s bleakly beautiful look at human relationships rests on a few vital factors—committedly vulnerable performances from Jim Carrey and Kate Winslet, elaborate visuals from Gondry, and a script that manages to balance the agony and sweetness of romance in a roughly perfect balance—it’s slightly disheartening to learn that almost no one involved in the original film (other than producer Steve Golin) is taking part in the production of the show. Instead, Universal is seeking writer Zev Borow, whose credits include Chuck and a producing credit on Fox’s Lethal Weapon show, to pen the script. The original Eternal Sunshine centered on a mysterious company capable of removing unwanted memories from clients, and a man (Carrey) who avails himself of their services to forget about a disastrous relationship with an ex. Meanwhile, the TV project is still in early days, and has yet to be shopped around to networks.